Yesterday, Queen Elizabeth, The Duke and Duchess of Sussex and Princess Anne attended the christening of ten-month-old Lena Tindall at St Nicholas Church in Cherington, Gloucestershire. Prince Harry became the Godfather of ten-month-old Lena. Lena Tindall, her youngest great-grandchild, was christened at the same church where her sister Mia and her cousin Isla Phillips were blessed previously. 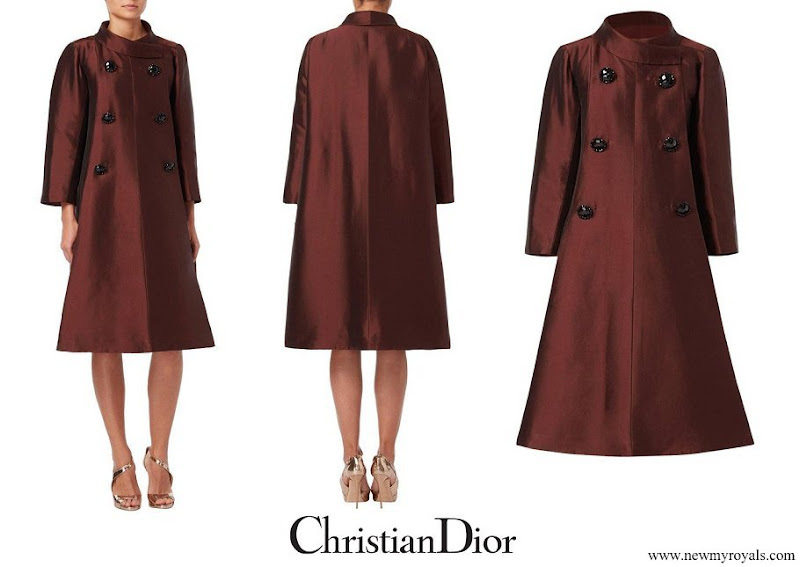 At the christening, The Duchess wore a brown silk coat by Christian Dior. The coat was designed by Dior Haute Couture from a 1950s collection. Very nice colour of the Dior coat, but the buttons are too large and look strange, they are so droopy. The beret does not match the coat. Zara looked great, fantastic shoes! I really liked the coat, but was the beret navy? Might have just looked that way in pictures. I love this coat so much! Another piece I hope she will find a way to rewear. Her bag is perfect with the style of the coat. The beret--not so much. This is where a hat with a 50s vibe would have been perfect. The coat is ill fitting on her. Her whole look is off. We don't see it here, but I love Zaras hat and shoes. I'm sorry that these pics got out. It appears that they wanted a private family affair - even the church parishioners didn't know this was going to happen. So, who called the paps? Maybe somebody who saw them going in. In this pictures they are already coming out. Lovely coat Meghan is wearing, buttons a little to big I think, but nice color. Sadly one did not see the face of little Lena, she is the person of the day. Like it a lot that Harry is the Godfather. The coat is fine, but that beret looks awful on her. I agree that a hat with a 50's vibe would have been a much better choice. Que corte impecable el abrigo!! I think the Duchess of Sussex is doing great! And despite what everyone says she IS really trying to fit in! This outfit just looks perfect for the occasion. Yes, esp since it was her daughter's day. There are pics of Zara and Anne out there. They both looked great! It's NOT about Meghan!!! Why no photos of what Zara was wearing... or the Queen? Why always about Meghan... and this time with buttons looking like they're ready to fall off. It's NOT about Meghan!!! Hello Anonymous 1:02, you seem a bit agitated. Would you like to explain what you mean, please? As for me, what I said about the buttons was only because they look very loose stitched on the fabric. I meant nothing negative about Meghan, her outfit or whatever, if that was what you thought. While we did see pictures of Pippa and other friends of Catherine at her childrens' christenings, the majority of pictures were Catherine since she was the mother. It would have been nice and more appropriate to see pictures of Zara. When I read the comment of Anon 1:02, that is what I thought she meant. Rosalyn, I do agree with you regarding the buttons. It does not matter what decade this coat is from, loose buttons are never in style. 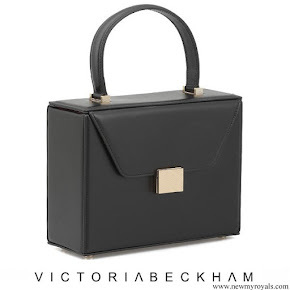 Rosalyn,exactly the anonymous is agitated,and Meghan a very elegant vintage Dior. O thank you very much Shelley! I get it now. And yes, you made a good point there! But I'm afraid pictures of Meghan sell better than pictures of Zara or Mike. That is how the media works, we had the 'Kate-effect' and since Harry and Meghan got engaged, we also have a 'Meghan-effect'. And I do not mean this in a negative or unfriendly way, it's just what is happening. Meghan is still a 'hot issue' so yeah, the media picks that up of course. However, Zara is popular in the UK as well, I thought. As Lily Bart says, the whole event was intended to be kept private. But this is quiet impossible for any member of the BRF in the days of mass media and social media. I don't know if it is someones fault that there are those pictures or who is to blame for the photos. Zara and Mike are obviously not like Charlene, who wants a lot of pictures of her children in the papers. And yes, according to the comments in the press Zara is popular in the UK and so is her mother. The reports of the more respectable press is that Mike Tindall was protecting his daughter's face from the photographers to keep their privacy in what was a family affair. I agree with those that found the coat ill-fitting and the buttons too large. The scale of the beret (both in size and appropriateness) is off. I was expecting more for a Dior couture. Otherwise nice color on her. I like Meghans coat very much and her beret is also perfect. Regarding all the comments about the size of the buttons--they are supposed to be that large. If you read the description above, the coat is designed from a 1950s collection. That is one of the hallmarks of the 1950s. Indeed. The coat was bought old from William Vintage and is 68 years old. Meghan makes very well using these real vintage clothes. I know that the buttons were intended to be that large. I would be very disappointed in Dior if they were accidentally that large. In my eyes they do not look good, though. What a shame that they're no more pics of the parents, grandparents of Lena. instead of the omnipresent couple of S. The coat is beautiful, but not for this figure. When is she due? Oooohhh, vintage Dior haute couture! How chic! Meghan is so clever! She for sure is the most glamourus person attending this event! megan aa always looks amazing!!!!!!!!! !